320 pages | 275 Color Illus. 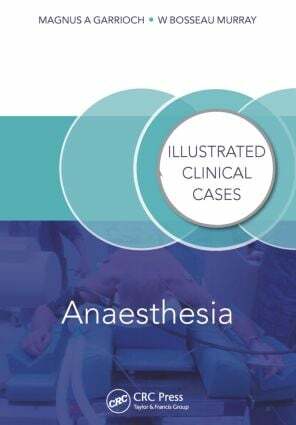 Containing 220 challenging clinical cases and illustrated with superb, high-quality images, this book covers a wide range of anaesthesia-related questions and answers from straightforward cases through to more challenging presentations. It is an invaluable text for anaesthesia professionals in practice and in training, both for those doctors preparing for higher examinations and for established physicians for their continuing professional development. Nurse anaesthetists, learning at an advanced level, will also benefit from these case discussions. "The 233 cases are presented randomly, covering a variety of topics including anatomy, equipment, the basic sciences and of course statistics. They are excellently presented, often as clinical scenarios, with largely clear and concise answers … This is a well-written…and exceptionally presented book." "[This book]… brings you up to date, stimulates your mind and encourages diagnostic and strategic thinking." Magnus A Garrioch, MB ChB (Birm), FRCA, FRCP (Glasg), consultant (attending) in anaesthesiology and critical care, Manchester Royal Infirmary, Central Manchester University Hospitals NHS Trust, England, UK. W Bosseau Murray, MB ChB (Pretoria), FRCA (Lon), MD (Stellenbosch), professor of anesthesiology, Department of Anesthesia, Pennsylvania State University, Hershey, USA.